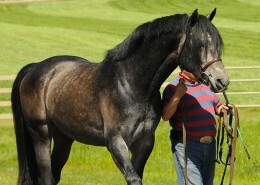 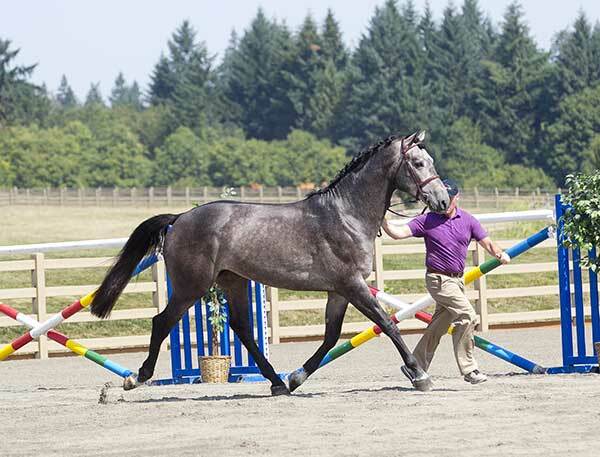 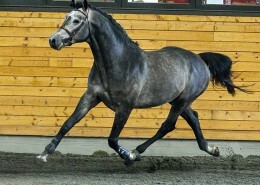 This interesting young stallion by Liocalyon (E) has a lot of potential. 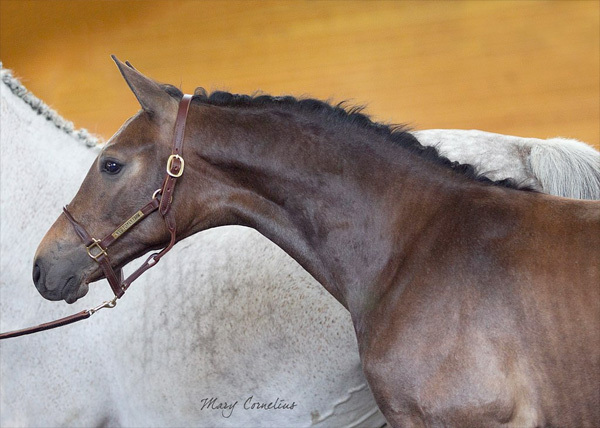 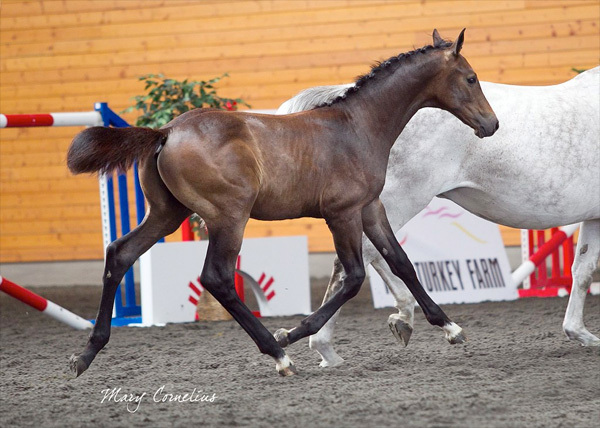 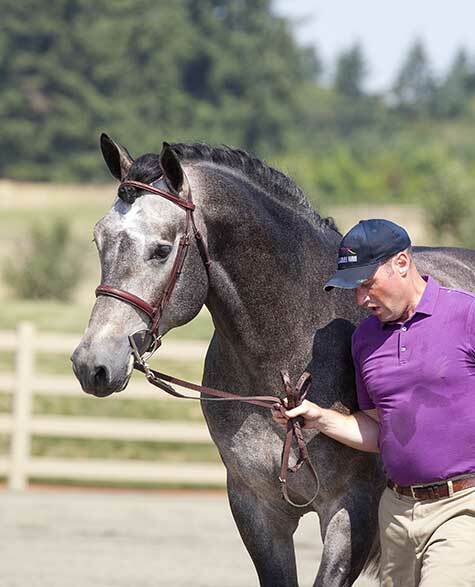 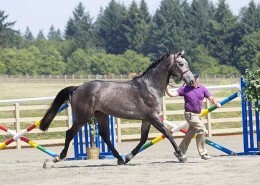 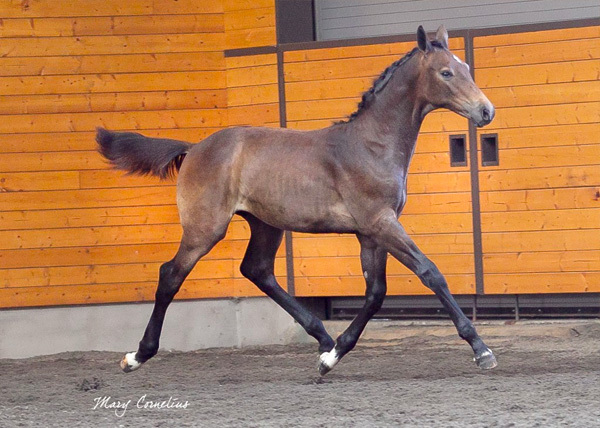 Liocalyon has sired two other approved sons in addition to Leapfrog, WT Lillix and Perterbilt (BWP elite stallion). 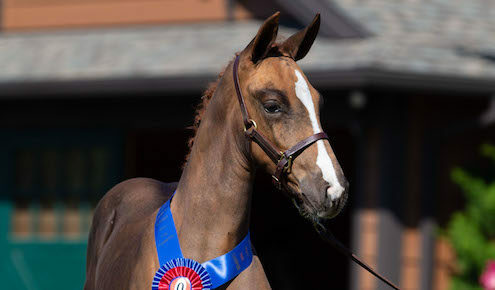 LioCalyon has also sired approved mares: WT Dragonfly was the best American Bred Mare for the AHHA in 2014, and WT Exclusive won the same award in 2015. 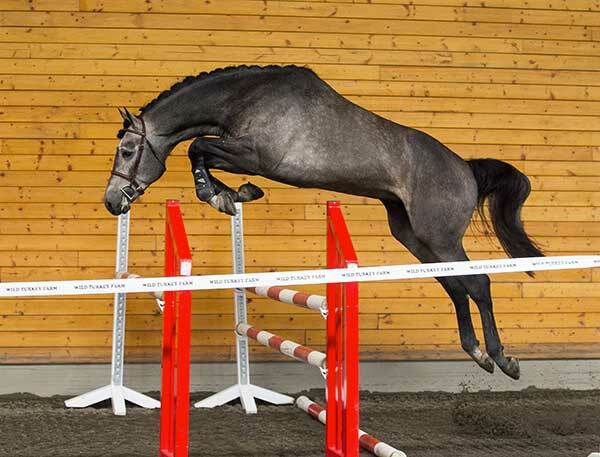 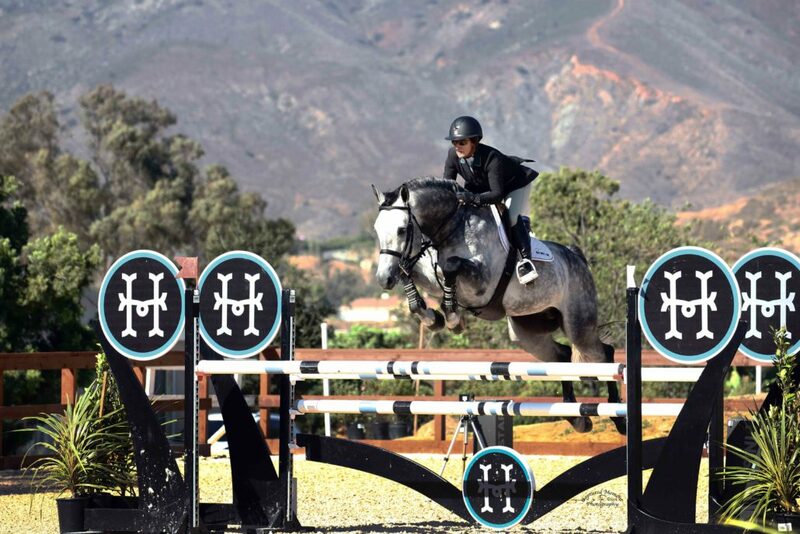 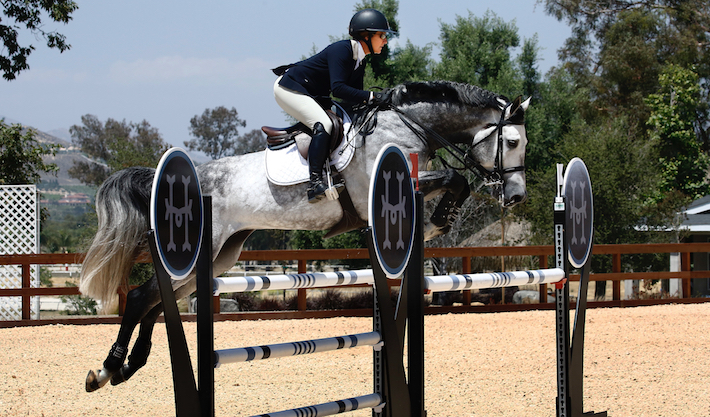 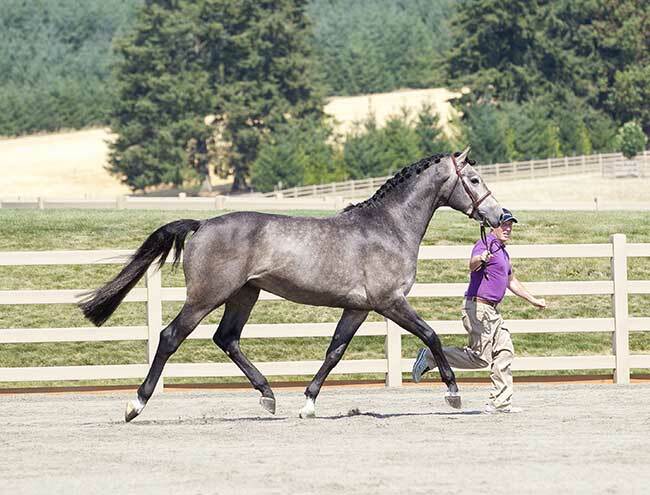 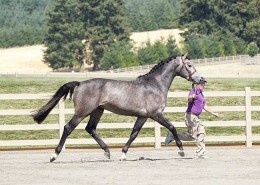 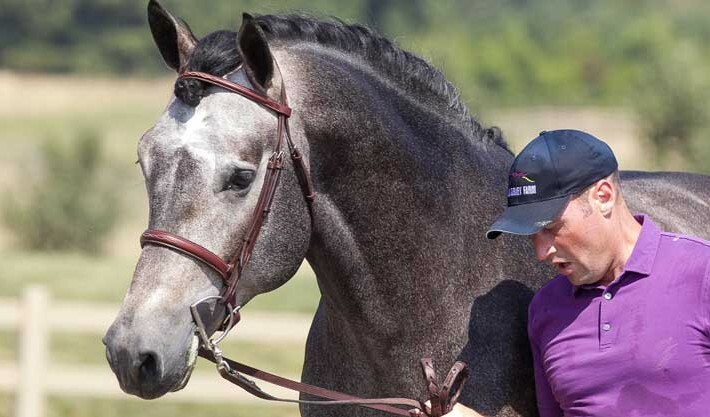 LioCalyon (by Liostro) produced 4 advanced level dressage horses and 17 offspring who have jumped 1.40m or higher. 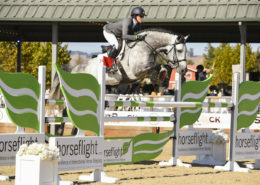 Leapfrog’s mother line has been owned by Paul Schockemohle since the 1970s. 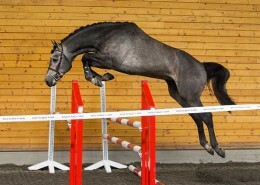 His half brothers Sadesso (Sandro Boy) competed to 1.40m and Caccland (Chacco Blue) competed to 1.60m. 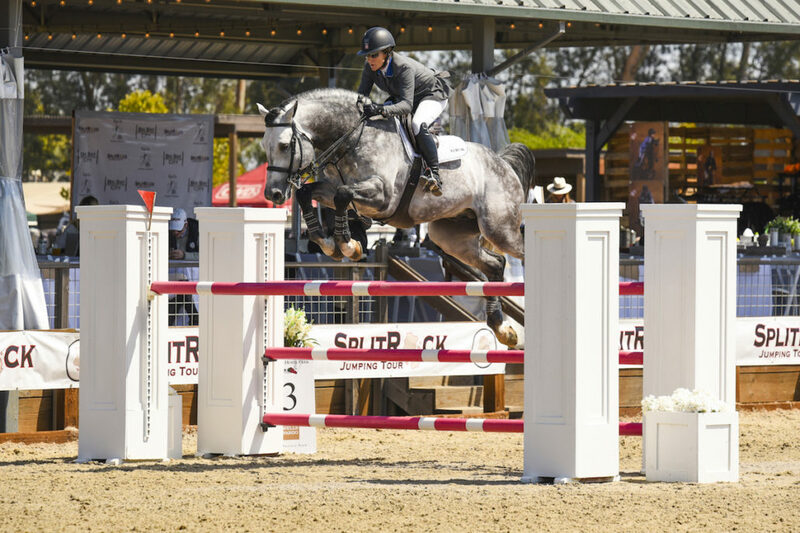 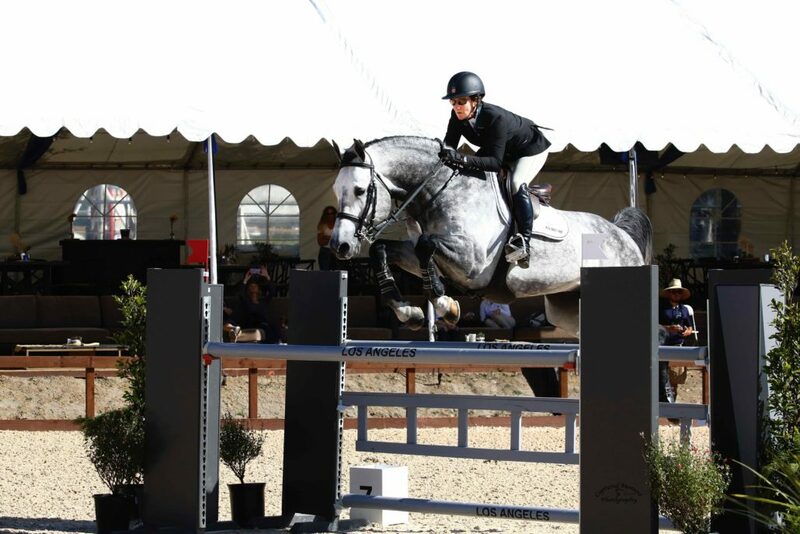 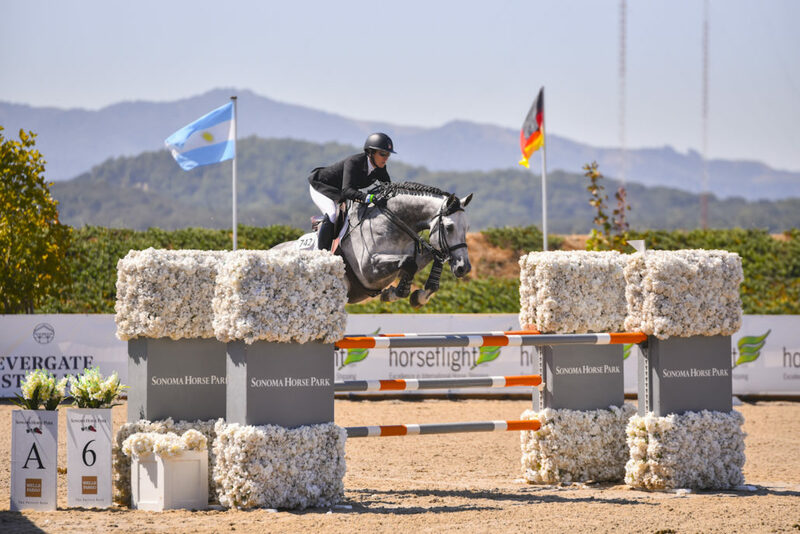 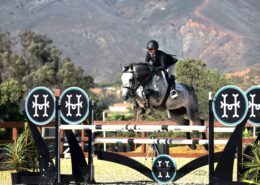 Also from his mother line come the 1.50m jumpers Lajo Secondo (Acobat I), Cha Cha Cha 7 (Chacco Blue) and Coupe du Rouet (Coup de Coeur). 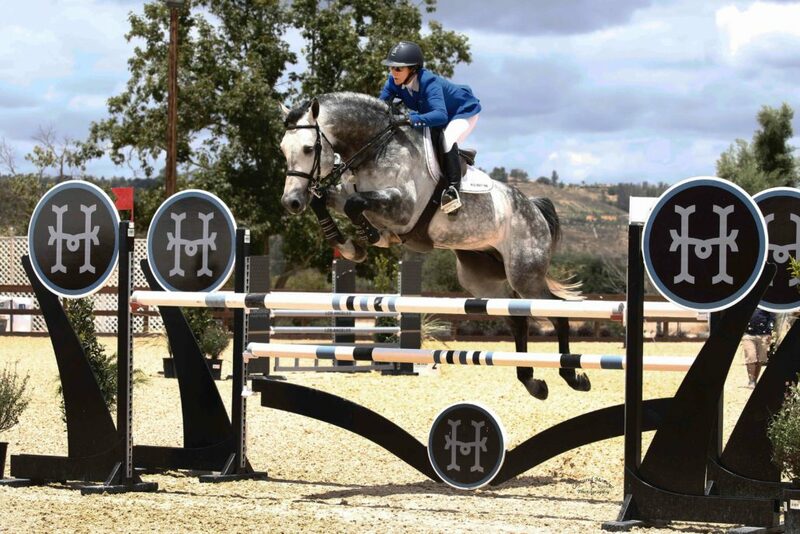 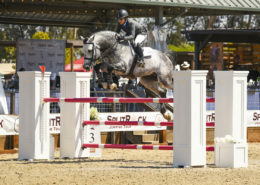 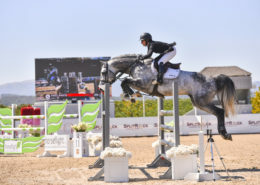 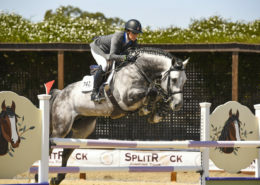 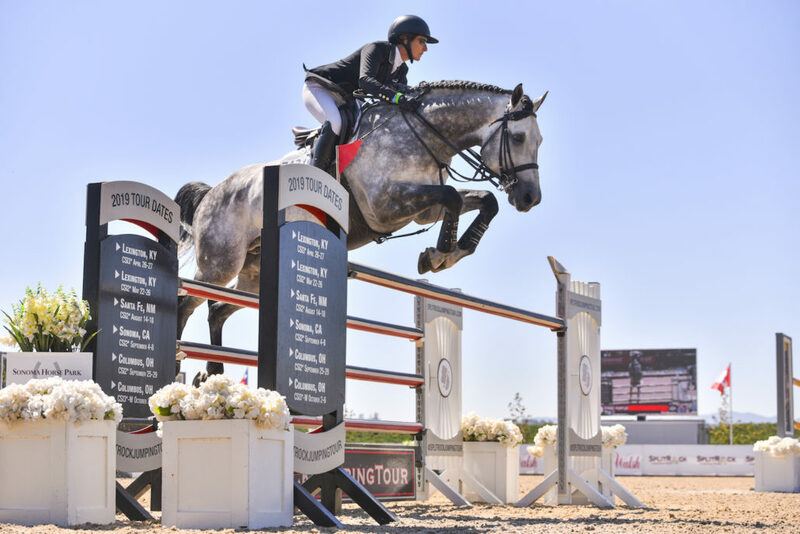 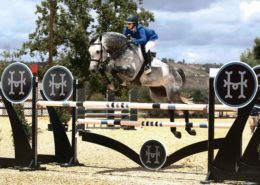 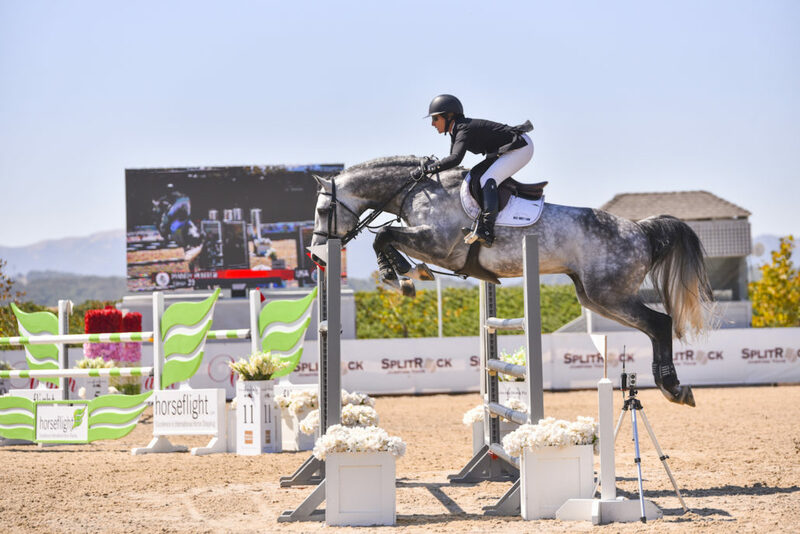 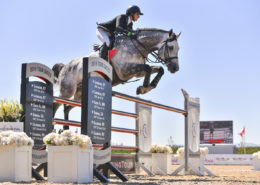 Leapfrog’s mother Grandessa (by Carthago) already produced a 1.45m jumping horse, Sadesso (by Sandro Boy), and the 1.60m jumping horse, Chaccland (by Chacco-Blue). 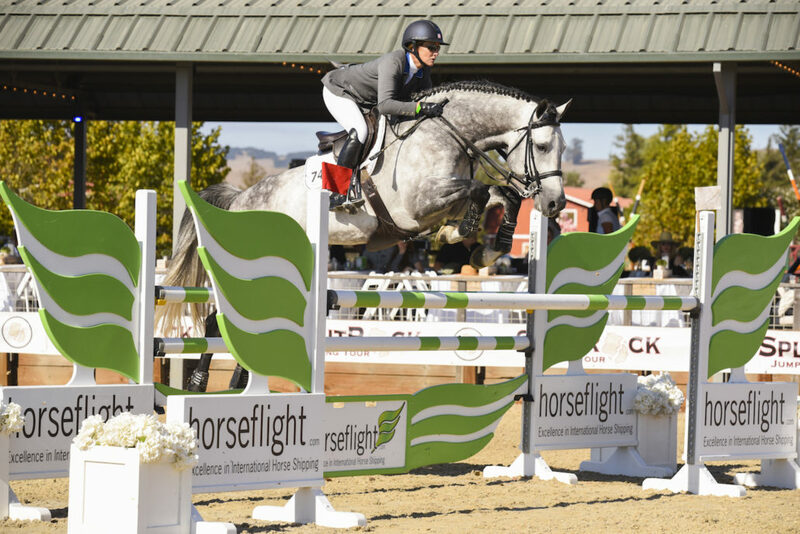 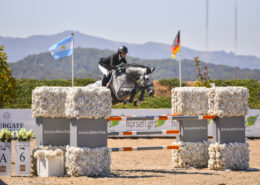 Leapfrog’s motherline has been owned by German show jumper Paul Schockemöhle since the ’70s. 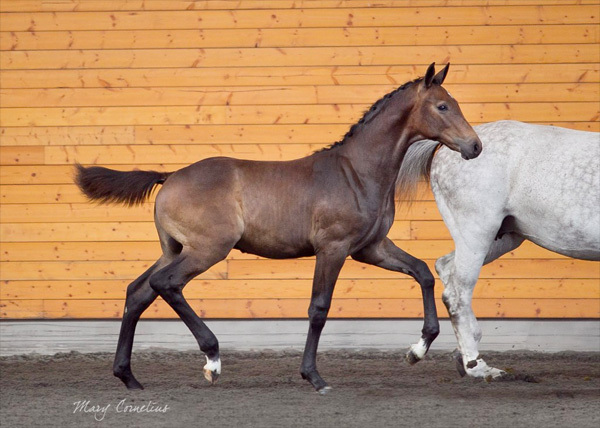 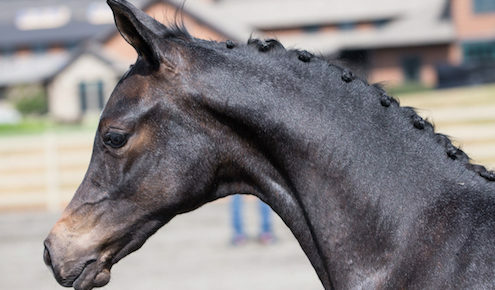 And Leapfrog’s half brothers, Sadesso and Chaccland, were bred by Paul Schockemöhle. 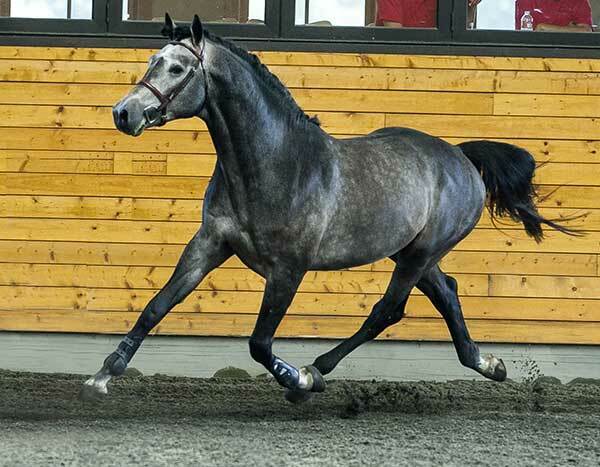 From this motherline comes also the 1.50m jumpinghorse Lajo Secondo (by Acobat I), Cha Cha Cha 7 (by Chacco-Blue) is a 1.50m jumpinghorse, Coupe du Rouet (by Coupe de Coeur) is a 1.50m jumpinghorse, Carlou (by Cartoon) is a 1.45m jumping horse, Freak Out (by Caroit) is a 1.45m jumpinghorse, Sagolda (by Sandro Boy) is a 1.45m jumpinghorse and Stagranno (by Stakkato) is a 1.40m jumpinghorse. 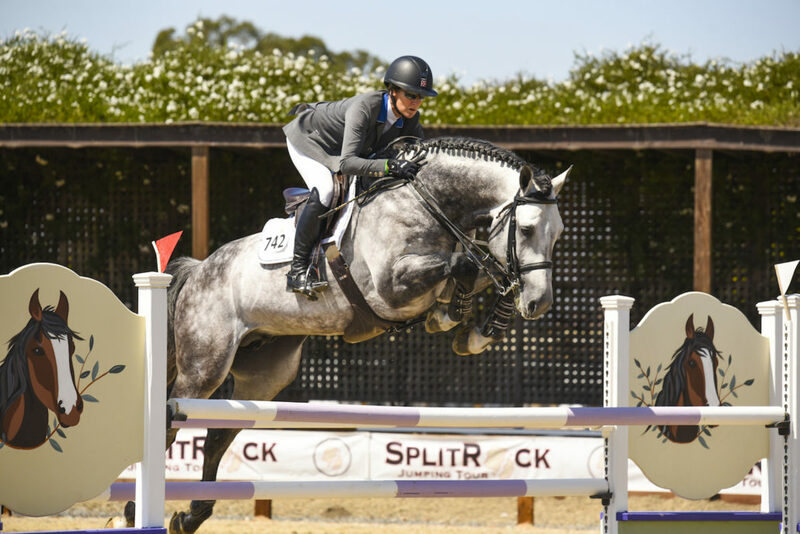 In 2016, WT Leapfrog began his competition career with USA’s Mandy Porter in the irons.